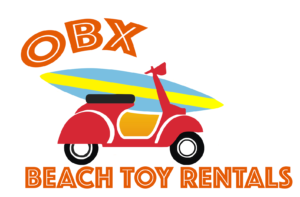 Rent bicycles, golf carts, scooters, scoot coupes or SUPs for your Outer Banks vacation! Rent a beach cruiser, hybrid bike or kids bicycle to cruise around on your Outer Banks vacation. Renting a golf cart to cruise the Outer Banks will change your perspective! Renting a scooter is a great alternative mode of transportation in the Outer Banks! Enjoying your Outer Banks vacation has never been easier! 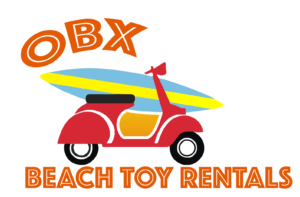 OBX Beach Toy Rentals offers a wide variety of fun rental options to help you get your Outer Banks vacation moving! Whether you prefer a people-powered vehicle (such as a bicycle or SUP), gas-powered (such as a scooter or scoot coupe), or electric-powered (such as a golf cart or GEM car), we have you covered! What kind of adventure are you seeking? How do you prefer to explore the Outer Banks? Our multiple locations make us easy to find! Located on the beach road, just north of Jennette’s Pier and across from Gray Eagle public beach access. Stand alone building located in north end of Food Lion shopping center parking lot.